As a member of the military, you are subject to the same set of divorce laws as civilians; however you are also subject to a set of special laws that accompany military divorce, including the Service Members Civil Relief Act. At the firm of Tampa Family & Divorce Lawyer Mindi Lasley we represent armed forces members, both active duty or retired, who are either seeking or going through a divorce. With an office located in Tampa, Florida, we can effectively represent any member of the military, particularly those service members stationed at MacDill Air Force Base. We also represent many service members while they are deployed, even in Iraq and Afghanistan. Most court hearings and mediations can be conducted over the phone, and our office is able to communicate with deployed service members via email, Skype and utilizing webcams. What occurs when neither spouse is a resident of the state of Florida? How does the court handle visitation and custody issues when a spouse is stationed overseas? How do the military and the court divide military pensions, benefits, and other forms of compensation? 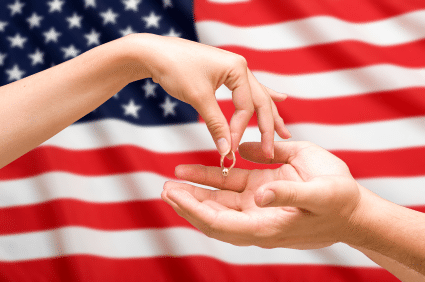 Can a person file a divorce when a spouse is on active duty overseas? How does the Uniformed Services Former Spouse Protection Act apply to my case? What is “adequate support” that I am obligated to pay my spouse? In these troubled times, service members have enough to worry about without the extra stress of maneuvering through the court system. At the firm of Tampa Family & Divorce Lawyer Mindi Lasley we can handle these obstacles for you and zealously represent your interests, even if you are stationed abroad. Schedule a consultation with Tampa Military Divorce Lawyer Mindi Lasley.